Shetland Textiles: 800 BC to the Present traces the history of textiles in Shetland through fabrics and garments together with the fibres and tools used to craft them, and the people who made and wore them. It brings together in-depth research with personal memories of local people, lavishly illustrated by stunning images. 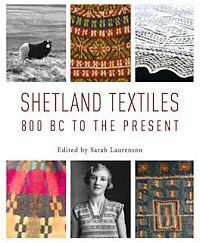 A beautiful and informative sourcebook, Shetland Textiles: 800 BC to the Present will inspire, educate and inform researchers, designers and anyone who is interested in how a tiny archipelago in the North Sea came to be world renowned for its textiles.